This hard-hitting commentary by the director of Columbia University’s Center for Sustainable Development and the UN Sustainable Development Solutions Network, Prof Jeffrey D. Sachs, has caused a real stir. It sheds substantial light on one of the most important developments of our times – the growing strategic and geopolitical rivarly between the incumbent superpower, the United States, and the rising challenger China. If you have not read about the Thucydides Trap, please do so. The Trump administration’s conflict with China has little to do with US external imbalances, closed Chinese markets, or even China’s alleged theft of intellectual property. It has everything to do with containing China by limiting its access to foreign markets, advanced technologies, global banking services, and perhaps even US universities. NEW YORK – The arrest of Huawei CFO Meng Wanzhou is a dangerous move by US President Donald Trump’s administration in its intensifying conflict with China. If, as Mark Twain reputedly said, history often rhymes, our era increasingly recalls the period preceding 1914. As with Europe’s great powers back then, the United States, led by an administration intent on asserting America’s dominance over China, is pushing the world toward disaster. The US rarely arrests senior businesspeople, US or foreign, for alleged crimes committed by their companies. Corporate managers are usually arrested for their alleged personal crimes (such as embezzlement, bribery, or violence) rather than their company’s alleged malfeasance. Yes, corporate managers should be held to account for their company’s malfeasance, up to and including criminal charges; but to start this practice with a leading Chinese businessperson, rather than the dozens of culpable US CEOs and CFOs, is a stunning provocation to the Chinese government, business community, and public. 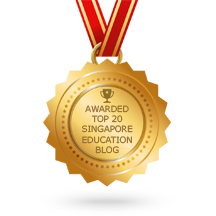 This entry was posted in Recommended Articles and tagged english tutor needed, gp tuition, gp tutor, gp tutor needed, singapore. Bookmark the permalink.